A teenager shot and killed in the parking lot of a New Hampshire hardware store in Goffstown is being remembered on Tuesday by his classmates. A teenager shot and killed in the parking lot of a New Hampshire hardware store is being remembered on Tuesday by his classmates. 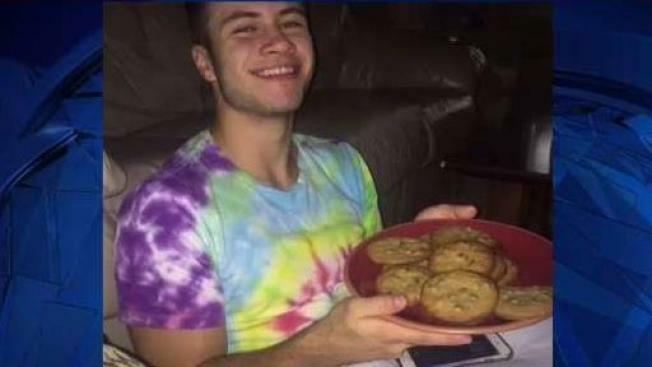 Students at Manchester Memorial High School will wear tie-dye to honor 18-year-old Ian Jewell, who was killed Sunday afternoon by a single gunshot wound to the chest outside the Ace Hardware Store on Depot Street in Goffstown. Police initially found Jewell wounded and took him to an area hospital where he later died. An autopsy Monday determined the manner of death to be homicide but investigators haven't released many details about the crime. 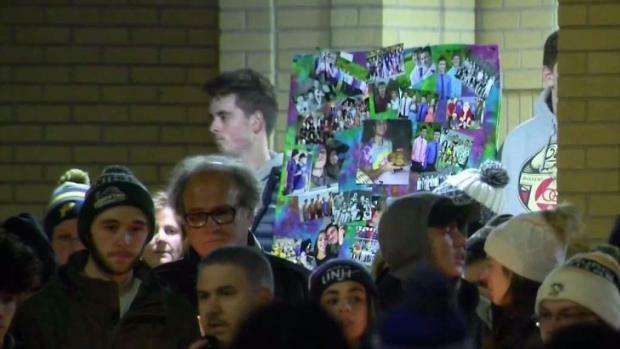 At a vigil for Jewell Monday night, classmates said he was a very positive person. "If someone was feeling down or getting bullied, he would step up and speak up for them," said classmate Matthew Gagne. Other students at Manchester Memorial High School said Jewell was a popular teen who took time for all of his classmates. He loved tie-dye, was fascinated by the universe, and wanted to know more about the world. The senior, who was an honor student and a member of the school's track and field team, was just months away from graduation. "Whenever someone would need help, he was there. Whenever people asked like how his day was or when they were upset, he would tell them that it was going to be okay. He was honestly one of the nicest people I've ever met. He was nice to the teachers. He was nice to the students," said classmate Lily Letourneau. "It really opens your eyes because someone's death has to bring everybody together as a society you know." Students will wear tie-dye on Tuesday as a sign of solidarity. "We're all wearing tie-dye in honor of him because it was his favorite thing to wear," said his Market Basket co-worker Zach Goodridge.